Every once in a while, a trap door opens and another world of knowledge and experience disappears forever. Or almost. We’ve all seen it happen with the passing of a friend — particularly those friends who have been so curious about their surroundings that they unearthed wonders and made their patch of ground seem as exotic as any place on earth. The Vineyard just lost such a man, Preston Gray Harris, who many of us knew as P.G. P.G. peopled Chilmark’s north shore with departed generations. I will always be grateful to him for sharing his discoveries with me on walks to find prehistoric pit houses and the nesting ground of one of the Island’s last populations of box turtles. He knew so much about the land’s former denizens, whether they were Angolan castaways from a slaver, which foundered on its way to New Amsterdam, or reputed witches, who were forced to live among skunk cabbages at the headwaters of Roaring Brook where their neighbors consulted them for herbal remedies, that he made the stretch of land between Menemsha and Cape Higgon seem almost continental. As we forged through thickets, he was constantly pointing out startling features in fungi and rock formations where I had seen almost nothing but bull briars and poison ivy. How can one thank a person enough for making a small part of the world seem whole? 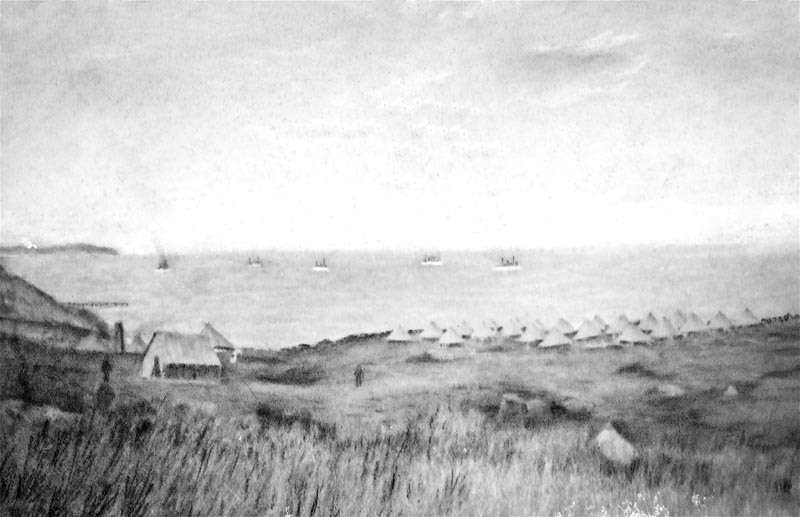 Under his tutelage I learned to associate the north shore with a visit of the White Fleet, which anchored off the Brickyard on its triumphal return from conquering Cuba, and the white tents that its marines pitched in regimental order upon an eastern bluff. 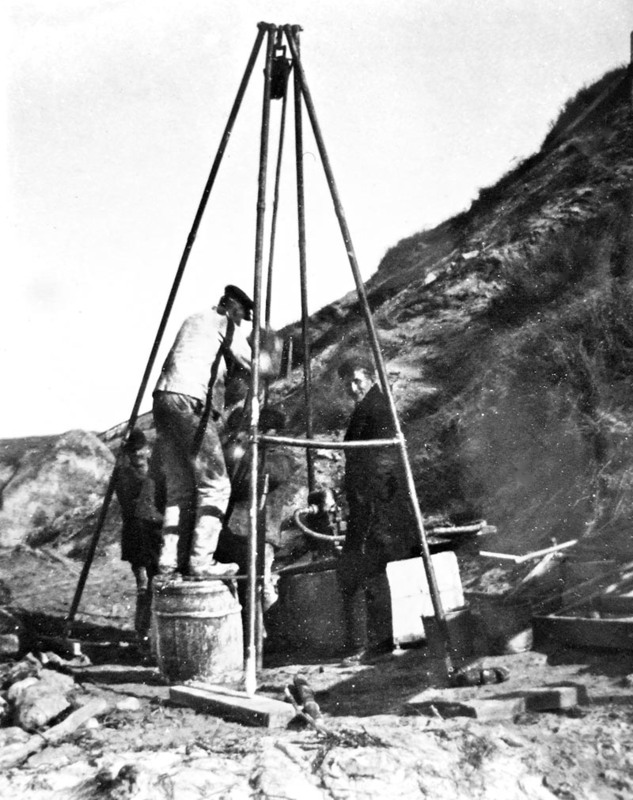 He showed me a photograph of miners extracting clay from a slippery shaft and pointed out where others had dug channels from ponds nestled among the northern hills to the sea, so they could extract peat when they ran out of wood to fuel their furnaces. Like so much of what P.G. showed me, that early industrial world of forges, kaolin works, lignite mines, paint mills and brick factories which turned the 19th century Vineyard into a deforested prairie, has vanished — although its legacy remains in the form of depleted soils and ravines created by gutted ponds. Even though he could take a quiet landscape and make it whirl around like a house on the way to Oz — I’m thinking of the time he showed me the foundations of a barn, which was swept off its foundations like a box kite and blown all the way across a wide valley by Hurricane Carol — he was always offhand about his research. Where most people can tell you about two or three generations, he could tell you about 10 and show you maps, drawings, letters and photographs to document what he was saying with such modesty that you might not have known how much he cared about the past, except for the fact that he glowed with understated enthusiasm. It was as if part of him had remained a boy with a child’s hesitant but impish delight in time’s warps and ironies. 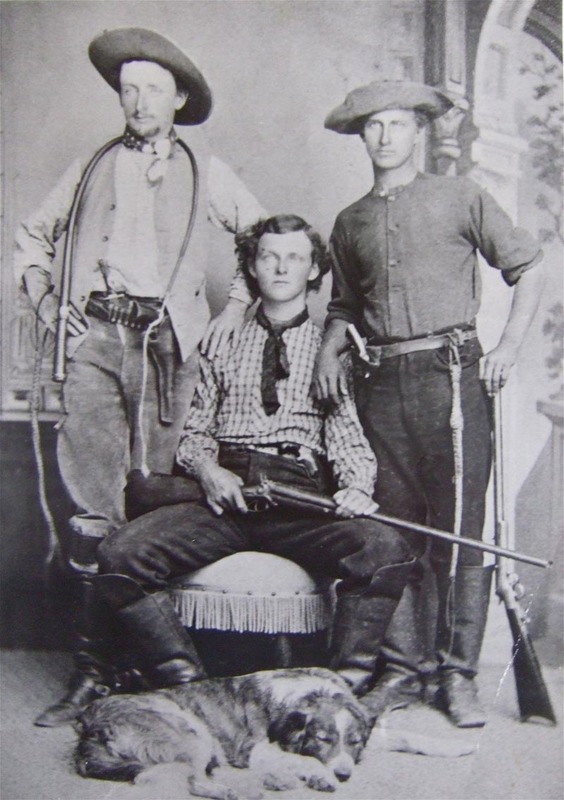 There was a photograph of three young men from the Island, dressed as cowboys, who had gone west to find gold — only to return to fishing and farming. And there was a map showing the position of a dam that spanned the valley above the brick factory until water seeped through its loose foundations and unleashed a flash flood that crushed several houses and workshops. He took me to the foot of the Brickyard’s chimney and showed me how high the surge that destroyed Menemsha in 1938 had reached. But even when he was telling me about the closest thing to Armegeddon that the Vineyard experienced in the 20th century, he glowed with that mischievous sense of awe. I can almost see that day because of him — see Vineyarders hunkering down until the hurricane passed, see them venturing from their homes in the belief that they had come through safe and sound. But P.G. is there to tell me that the wind had pushed a huge quantity of water toward the mainland, where the bulge was trapped until the hurricane stopped, holding it in place by going inland, whereupon the water surged back toward the Vineyard in the equivalent of a tsunami, which climbed the beaches, bluffs and the first 15 feet of the chimney. Talk about an important piece of information for future planning! We have probably lost a trove of such tales, but P.G. told me one story which must not go to the grave, since it concerns a set of drawings which may be New England’s nearest equivalent to the Aztec codices. The drawings form a frieze around the garret of one of the oldest houses on the Island. The small house, which one can tell was once thatched because of the internal structure of its roof, was brought from Noman’s Land by the Society for Propagating the Gospel Among the Indians to house some of its converts. These “praying Indians” slept in a room upstairs, which has continued to be used as a bedroom. One day, when P.G. and his brothers were still young, their father asked P.G.’s brother, Dickie, who was around 18, to scrape peeling plaster off the bedroom walls and replaster them. As the old plaster fell in slabs, Dickie found himself staring at an extensive series of figurative drawings showing scenes of daily life. The whole family pored over the pictures and decided that they must have been drawn by the Wampanoags who slept in the room in the 18th century. Although the drawings were a curiosity, the Harrises were used to finding relics from the past while going on with their lives, so it probably never occurred to P.G.’s father, Sydney Preston Harris, whom I also knew, to leave the room in a shambles while historians took their time deciding what to do. P.G. was almost deadpan as he told me with mixed resignation and regret that the work had gone on after a few hours, sealing the drawings under a new coat of plaster. All we can do now is hope that the last coat wasn’t too destructive and is keeping the images safe until they can be professionally revealed and curated. But there is an urgent problem called inheritance taxes, which will almost certainly force the family to consider selling the land soon. For the moment, I don’t think there are even any regulations in place to prevent someone from tearing down the house, which is already on the market along with the rest of the property. So this is much more than a eulogy. It is a call to arms to our Island, state and nation to save what is potentially one of the earliest representations by natives of life when old and new Americans were forging their first common bonds. That room and the older sections of the house should be protected at least until the significance of the drawings under the walls can be determined. As long as P.G. was the owner, we thought we had time to save them, but the need to protect the frieze has become so critical that I propose that everyone with a stake in our history, from the tribe to the Martha’s Vineyard Museum and our governments, should act in immediate concert to protect and reveal the images that held P.G. spellbound from the day they disappeared. He wanted it that way, so we will be doing him and ourselves, for that matter, honor, by making his wish finally come true. Duncan Caldwell is a fellow in the Marine and Paleobiological Research Institute in Vineyard Haven and lecturer in prehistory at the Muséum National d’Histoire Naturelle in Paris. Duncan, your article is a wonderful celebration of P.G., his wealth of knowledge, and his gentleness. You recount beautifully a few of his eye-opening accounts of island history.I am grateful that you recorded them here; we will miss this wise, kind man.I hope that you will be able to galvanize interest in revealing and protecting the hidden attic drawings.